Rip joined Trilogy Partners in 2013, bringing with him more than 35 years of leadership experience as a senior executive in a wide range of public and private companies. He is highly regarded as an effective team builder and leader with a proven ability to lead change, grow organizations and deliver strong results in intensely competitive industries. Mr. Tilden joined Makarios Consulting as a partner in 2009. He is the practice leader for Makarios’s strategy and execution practices and is actively engaged in coaching leaders in business, higher education, and in the non-profit arena. He is an experienced executive coach who has helped leaders across a wide range of industries — including the pharmaceutical, manufacturing, distribution, healthcare, defense electronics, and professional services industries — improve their leadership effectiveness. He is a certified EOS® Implementer who works with a wide range of private and public companies and non-profit organizations to help them clarify their vision, gain traction in implementing that vision by driving successful execution of their growth plans, and build healthy and effective leadership teams to sustain strong performance. He and his business partner, Tim Thomas, are the authors of the book: Leading on Purpose – Sage Advice and Practical Tools for Becoming the Complete Leader. Mr. Tilden served as a project faculty member at The Wharton School at the University of Pennsylvania for 8 years, where he worked with MBA students on international strategy and marketing projects and with leadership teams of international companies to help them strengthen their leadership effectiveness, sharpen their business strategies, and execute to deliver superior results. 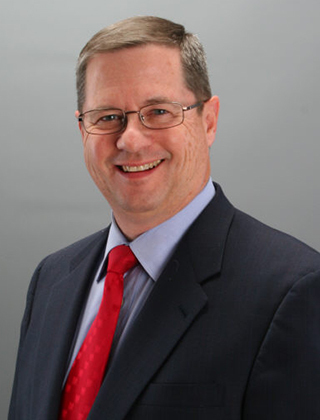 Prior to joining Makarios Consulting, Mr. Tilden held senior leadership roles in three Philadelphia area companies. From 1994—1996, he was a senior executive with Alco Standard (now known as Ricoh Office Solutions). He then joined InterDigital Communications, where he was a member of the senior executive team of that King of Prussia-based wireless technology developer for 10 years. He served as the company’s Chief Operating Officer from 2001—2005. During those years, the NASDAQ listed company quintupled its market value. He then led a multi-million dollar fitness and wellness business in the Philadelphia region as its general manager, working with the leadership team to double the business’s earnings. Passionate about community service, Mr. Tilden served for 11 years as the President of the Berwyn, PA, fire company, for two years as Chair of the Board of the YMCA of the Upper Main Line and for more than 10 years as a board member and Treasurer of the MidAtlantic Employers Association. He currently serves as a Board Member of Andesa Services Incorporated, an insurance services firm in Allentown, PA.
Mr. Tilden and his wife, Beth, moved to the Louisville, KY area in April, 2018.